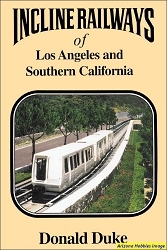 From its origins in the 1870s, through its completion in 1901 and its flowering in the late 1930s, to its ultimate development in the years after World War II, Southern Pacific's rail line along the Pacific Ocean coast typified both the railroad itself, and the railroad's role in growth and development of California communities. The history of this line encompasses much more than rail history; it is also bound up in the geography and the people of the coast. As the railroad aided in development of towns, agriculture and industry, so the territory provided traffic for the railroad. 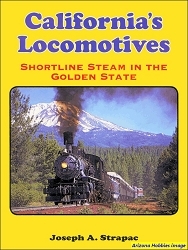 Any history of the Coast Line is also in part a history of California, for the railroad and its territory were and are inextricably joined. 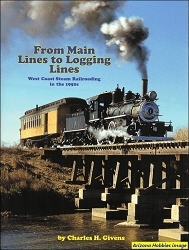 John R. Signor, well known for his six previous books on western railroad topics and on Southern Pacific in particular, has included all these aspects of the Coast Line in this book. 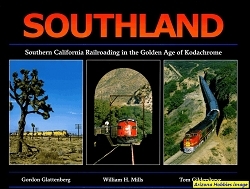 Drawing on many historical resources, but most dramatically on the extensive files of the Southern Pacific itself, he has produced a broad history of the SP in coastal California, liberally illustrated with hundreds of photographs, the majority of them previously unpublished. John Signor's fine maps also enliven and enrich the text, as do the railroad graphics and ephemera included. Signature Press, hardcover with jacket, 324 pages, 8.5 x 11 x 1.75 in., 532 B&W photographs, 32 Color photographs, 14 maps.